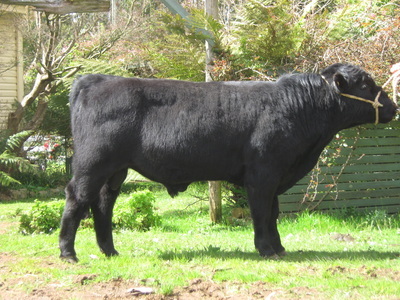 Dexters are descended from the black cattle of the Irish Celts. They were established as a distinct breed in the mid eighteenth Century. They remain the smallest, naturally occurring British breed, although other breeds have been “miniaturized” in recent years. There are two types, “short legged” will be at the bottom of the height range, with “long legged” or “proportionate” Dexters somewhat taller. There are 3 colours: black, red and dun. Although a horned breed, most are dehorned (horns removed) and many nowadays are polled (naturally hornless). 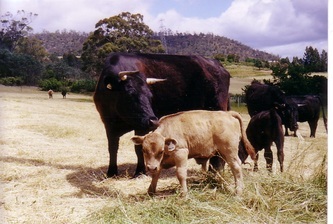 Although small, Dexters cows can produce excellent milk (up to 10 litres daily), making them suited to supplying milk for the family, or for suckling an extra calf. 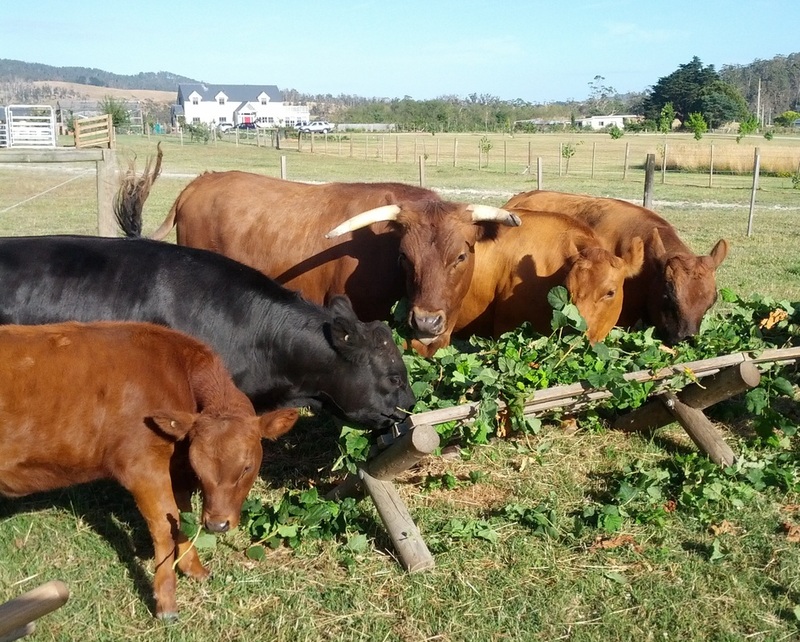 Whilst on their dams, Dexter calves gain weight rapidly. 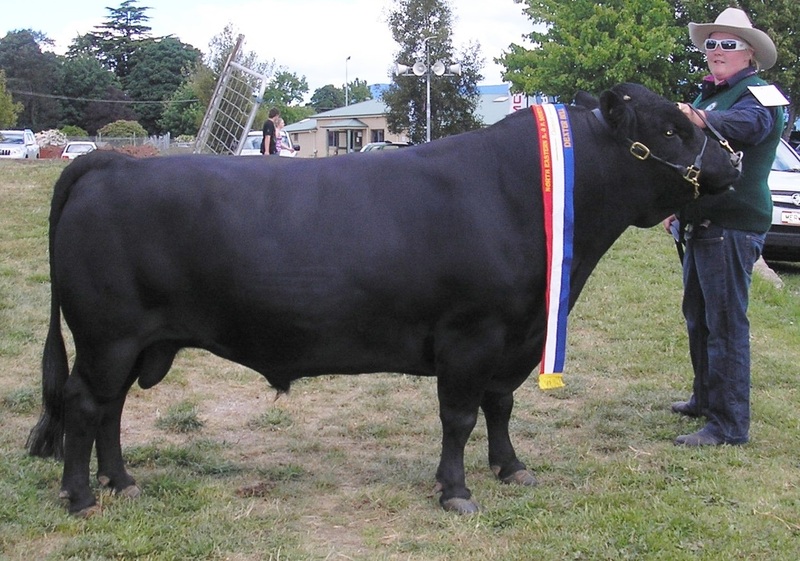 Depending on ‘type’ and pregnancy status, purebred Dexter cows reach a live weight of 250 - 400kgs, with cross-bred animals proportionately heavier. Bulls reach 450kgs by 3 years of age. Dexter beef carcases average 55% dress out, and are typified by smaller, finer-grained cuts, suitable for the home freezer. You can purchase Grade females (from a foundation cow, with Grade 4 females being considered purebred) or purebred depending on your budget. 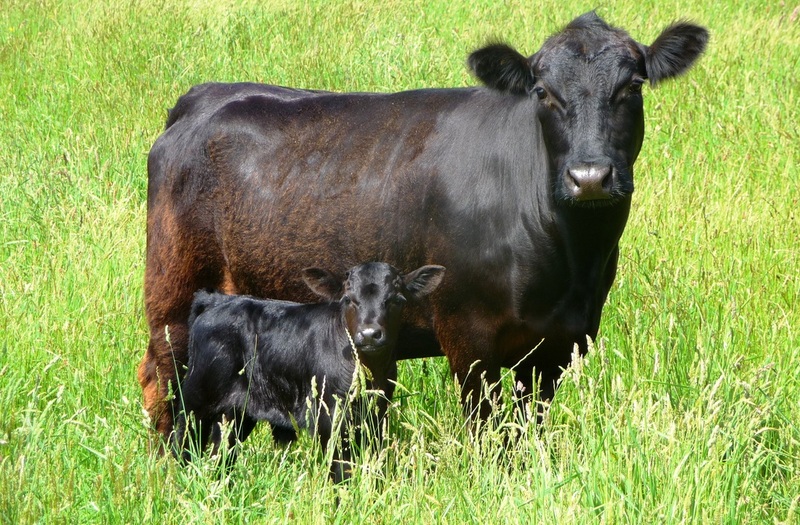 Your way to quickest results is to purchase females with a calf at foot, and preferable back in calf to a registered Dexter bull. Registered Dexter cattle have a registration certificate issued by DCAI and are transferred into the buyers name at the time of purchase. 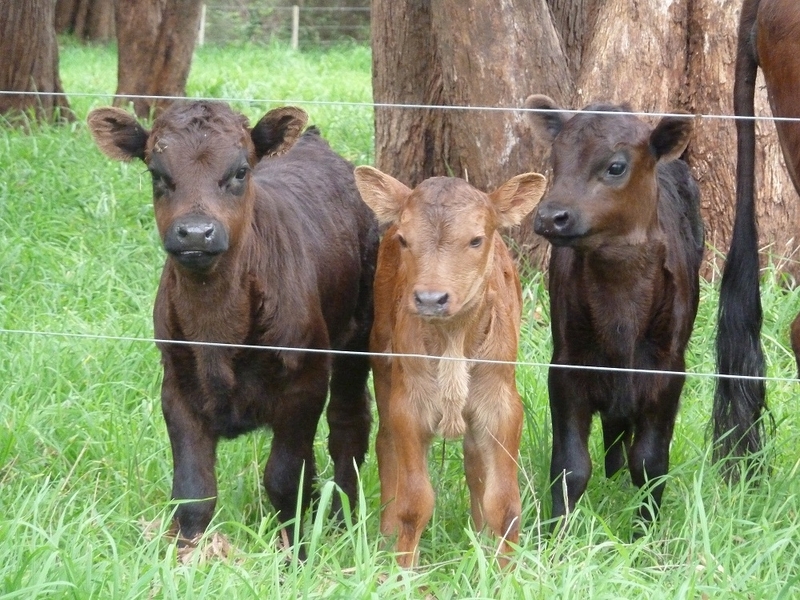 Buying registered cattle gives you the option to breed for stud, enjoy showing or for commercial purposes. Even if you have only four or five acres, you can keep a few Dexters. 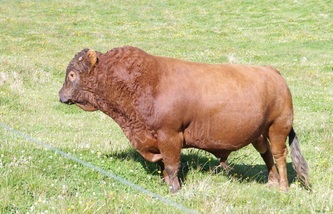 Dexter size means they are less intimidating for those less experienced with cattle, as well as children and older people. 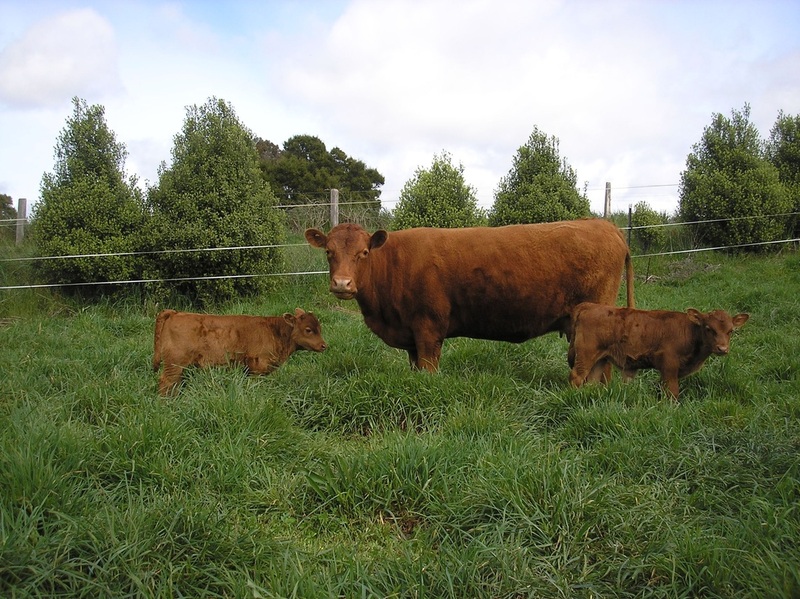 Their lighter weights place less pressure on pastures and fragile eco-systems. 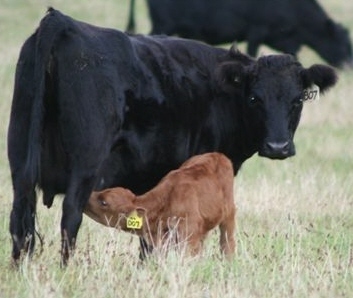 It is easier to adjust stocking rates of Dexters compared with larger cattle. A productive Dexter cow can be milked for the family, or an extra calf fostered on her. Dexter meat is lean, tender, tastier and finer-grained being just the right size for the home freezer. 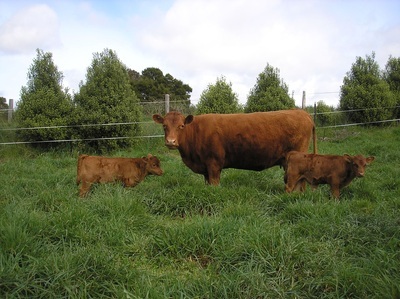 Dexters are early maturing, highly fertile and calve easily. They have long productive lives, calving into their late teens being common. Dexter cows have excellent maternal characteristics. Dexters are exceptionally easy to manage and maintain due to their inquisitive nature. 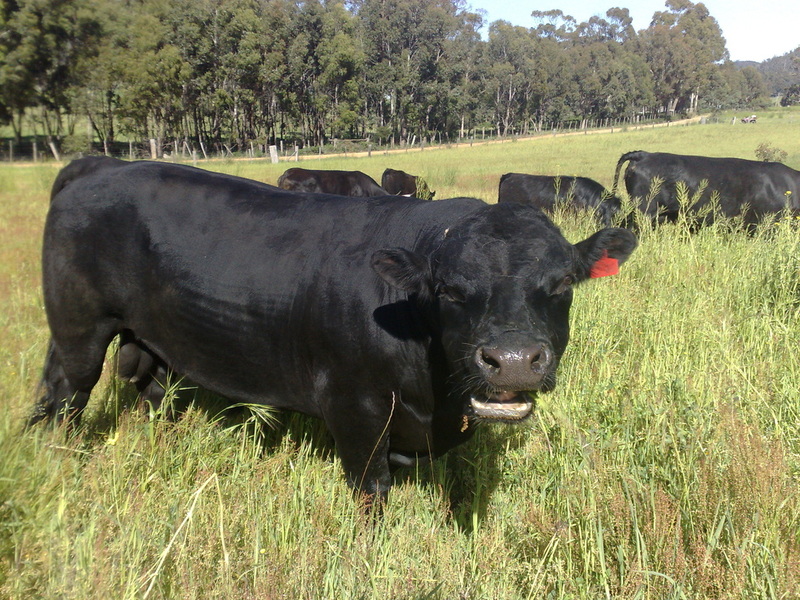 Dexters have a higher Eye Muscle Area (EMA) per kilo of body weight, giving more high value cuts of beef. How many Dexters can I run on 10 acres? That depends on pasture quantity and quality throughout the year and how much of your 10 acres is used for the cattle. If these are good and you are prepared to supplementary feed when necessary, 4 - 6 Dexters is a realistic number. You can start with fewer, and calve them down until you find what is ideal for you. 102cm - 112cm. Measurements are taken over the spine at the point of the hip. However, with all cattle there are variations. Dexters are REAL, productive cattle, (not miniatures) about two thirds the size of other British breeds. 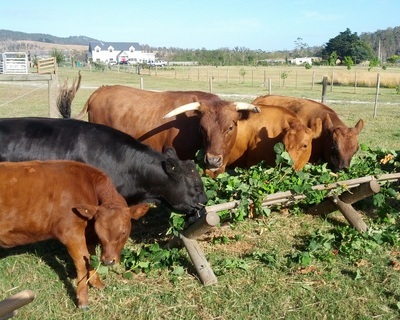 Pasture is their staple food when it is plentiful. When it isn’t it should be supplemented with hay and/or regulated measures of proprietary feeds mixed with chaff. The cattle’s condition will indicate the amounts required. Mineral lick blocks should be used as feed supplements. What facilities do I need? 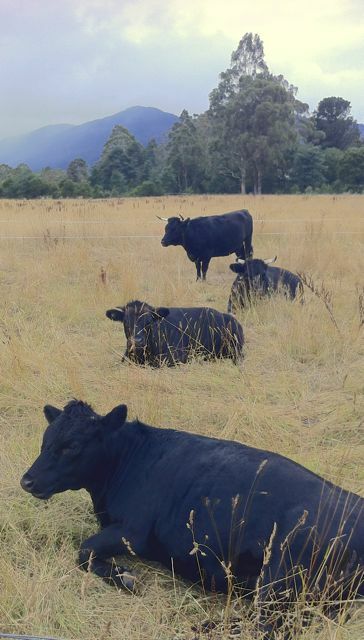 Your Dexters need secure fencing, a clean and constant water supply, sufficient feed throughout the year and protection from extremes of climate (shelter belts of trees are sufficient). For necessary general and veterinary management, a small yard where they can be secured and handled, is essential. How do I keep them healthy? It is recommended that all owners of registered Dexters join DCAI. On joining you will receive a Dexter Handbook, containing invaluable information on this and many other topics. Yes. 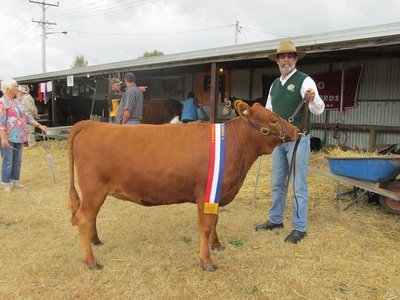 Dexters are people friendly cattle and their size instils confidence with handling; regular contact will ensure they remain quiet . However, there are variations in ALL breeds and safe handling practices should be utilised. Can I get further support and advice?